Morning announcements are a part and parcel of school life. Teachers and students spend hours trying to come up with the most creative broadcasts for the morning announcements. There’s a lot of effort involved, but, the process can be a lot of fun. There’s always a sense of achievement, especially when the final product ends up meeting, or even exceeding, expectations. Now, as you might already know, there’s a ton of stuff that goes into creating broadcast videos for a morning announcement in school. But, what a lot of students and, even teachers, don’t realize is that there are legal considerations to be made when creating these morning announcement videos. In this article, we’re going to take a look at some of the most basic legal and ethical considerations that teachers and students need to factor in when broadcasting a morning announcement. Copyright or copyright law allows people to protect and control their ideas and the creations that result from those ideas. To put it simply, if you were the creator of a song or a movie, wouldn’t you want your permission to be sought if someone or somebody wanted to play that song or movie at a public location? Also, wouldn’t you want to be paid to let people use your song/movie? This is exactly what copyright law deals with. It’s simply a way to ensure that other people’s ideas are copied and used in the proper manner. So, how does copyright matter in a morning announcement broadcast? Well, you are bound to use material that is produced or created by someone else. This could be a song in the background or some video. Irrespective of the material used, protocol requires you to obtain permission and maybe even pay royalty (fee) to the original creator. There are ways and methods through which you can do this. In most cases, you can simply search for the original creator and contact them to obtain usage permission. However, there is an easier way out. A certain clause allows copyrighted material to be broadcast without permission or the payment of fees. The clause is referred to as the “fair use provision”. How this works is that it allows you to play or use a part of somebody’s created material as long as the purpose is to create awareness about the material. For example, if you played a Justin Bieber song in order to discuss or debate over it, it would fall under fair usage policy. Are you allowed to use it in the Classroom? Our free Checklist will help you decide. However, if the song became a repeated feature on your morning announcement video, you would be expected to get permission and pay usage fees. There are several factors that determine whether or not copyrighted material can be used under fair usage. If the original creator thinks that your usage of the material prevents others from buying it, he/she can sue you for copyright infringement. Of course, the claim must be substantial. For example, if you played the full song /movie, you can be sued for copyright infringement. However, if you played only a fragment of it in order to discuss it or simply promote it, it would constitute as fair usage. So, be careful about the material you use. As a precaution, try to keep things as original as possible. Either way, our free Checklist for Fair Use will help you to make a decent dicision. This is another important consideration to be made when creating morning announcements. In fact, ethics is believed to be a cornerstone of high quality journalism. The key aspects of ethics in journalism include accuracy, fairness, and objectivity. When we say accuracy, fairness and objectivity, we simply mean that your reporting must be honest and true. In other words, don’t take sides or provide opinions. On a more obvious note, don’t lie. Only report what was observed and seen. In professional news reporting, reporters check their information with multiple sources before publishing it as news. This needs to be followed for your morning announcements as well. In the news world, an inaccurate statement, especially one that tarnishes the image of a person or any other entity, can place the reporter under libel. To put it simply, the reporter can be charged with a crime and punished for those inaccurate statements. On the whole, make sure whatever you’re reporting is objective and true. Finally, make sure there are ethical boundaries being followed when reporting a story. Never cross the limit just to get an attractive piece of news. For instance, if you want to write about a student’s achievements, ask them for an interview. Don’t simply publish the piece without them even being informed. This could constitute as an invasion of privacy. In fact, you might need to obtain permission from them to even use their photos. Not doing so can end up making you responsible for copyright infringement. Speaking of ethics, it is a good idea to get parental approval for your work as well. For example, if you’re going to film students for a video that is going to be a broadcast in school, you might need permission from the parents. Some parents may not be okay with their children being shown on TV to the whole school or any other such public location. So, seek their approval or you could possibly end up being victim to a lawsuit. Morning announcements are very similar to mainstream broadcast journalism. You, pretty much, need to follow the same rules. The information you provide through your morning announcements involves the larger public, just like regular news. So, it’s a crucial matter to factor in aspects such as privacy and intellectual property. The slightest error made out of ignorance can lead to a lot of trouble and ignorance never justifies a mistake. 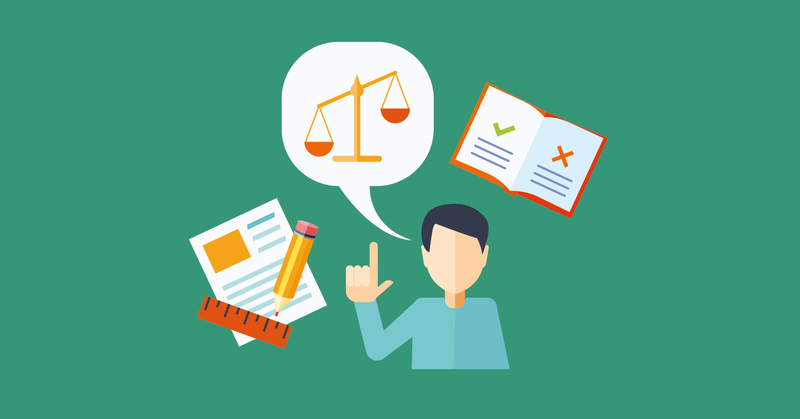 You could end up getting embroiled in a tough situation if you aren’t careful about the legal aspects of your production. In fact, we suggest that you discuss this matter with a legal expert. That way, you can make sure that mistakes aren’t made and that your own work remains protected as well. Additionally, focusing on important topics such as this can also help students gain knowledge about broadcast journalism and its legal aspects. If you are not sure, whether you are allowed to use a certain work in your school, our free checklist might help you out. Please note that the the team of Morning Announcement is unable to provide specific legal advice to individual members of the public about questions of fair use. Morning Announcements as a School-Intern Source of Information? Download our FREE Fair Use Checklist! 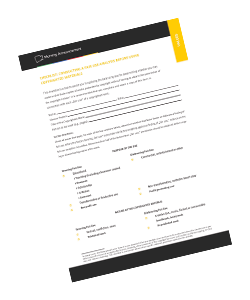 This free checklist is a tool to assist you in applying a balancing test for determining whether you may make or distribute copies of works protected by copyright without having to obtain the permission of the copyright holder.